Online ordering menu for Pizza Primetime (ELKRIDGE). 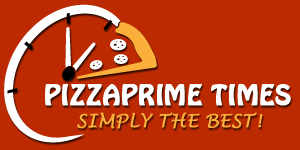 Order online for your favorite pizza, pasta, or salad at Pizza Primetime! Try one of our specialty pizzas such as the Greek Pizza, Hawaiian Pizza, or the Steak Buster Pizza. Our menu also features wraps, quesadillas, and subs. Find us south of Meadowridge Memorial Park at the corner of Business Pkwy and Washington Blvd. We're by the Washington Blvd Marketplace! Order online for carryout or delivery!